The Pawnee Plunge Water Park will delight all ages. 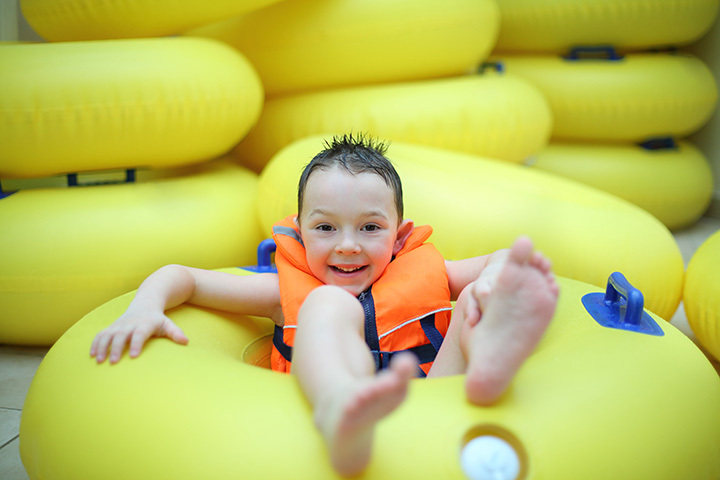 The water park features a full-day of fun for the entire family. Spend time in the Splash Pad Area, splash on the Interactive Aquadek, or cross over the Octopus Water Walk. Slide down the Triple Curve Slide, race down the Speed Slide, spin around the Splash Bowl before plunging into the eight-foot deep catch basin, or take a chilling plunge down the Inner Tube Slide landing in the Lazy River. Float on the Lazy River for a relaxing ride. Sit back in a chaise lounge, relax and read a good book, or just observe the fun-filled action.